Courtesy of David D. Robbins Jr. Earlier today, the Washington Examiner posted a story taking a look at Maryland’s Civil War scholars and how they became the academics they are today. 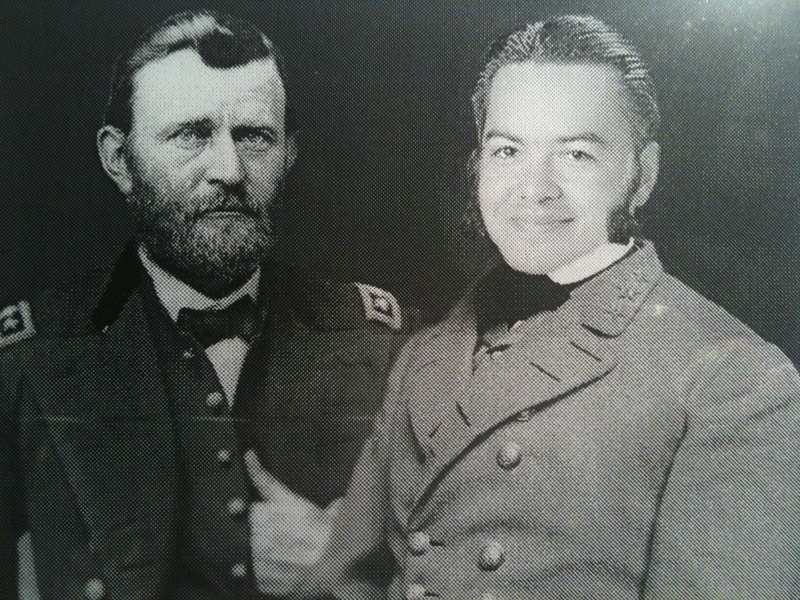 One of them, Naval Academy professor Mary DeCredico, was a little girl when she first saw photos of Robert E. Lee. He looked so sad, DeCredico said. She felt sorry for him. She wanted to know what happened to him. Another historian, Craig Symonds, said reading about the war in his teens inspired him. The president of the Civil War Trust, O. James Lighthizer, said he was hooked when he read “The Killer Angels,” Michael Shaara’s Pulitzer Prize-winning novel about the Battle of Gettysburg. The Civil War has enthralled me for most of my adult life. My childhood had basked in my family’s white hot passion for its own Spanish imperial history, in Peru and throughout the Caribbean, and so most of my knowledge of U.S. history came from my school textbooks. I was primarily interested in the history of World War II. The battles, the commanders and the consequences invariably led me forward into the Cold War, the Korean War, the civil rights movements, and Vietnam. Attempts to understand the root causes of the Second World War led me backward to the first World War. Anything before Wilson’s Fourteen Points and the doomed RMS Lusitania were merely answers to the questions on next Wednesday’s third-period quiz. My interests grew like green vines, toward film school, toward astronomy and psychology, toward the tantalizing prospects of a military career and a college teaching career … vines that maybe someday, I secretly hoped, would even lead me into a career as a great writer and intellectual, whatever that was. It sounded good. So, as I eased into college, torn between becoming an engineer who imagined and built cities on the moon and becoming the next Oliver Stone or Francis Coppola, I sensed that the kind of films I wanted to make — political and historical pieces no one would ever see — needed a solid grounding in genuine U.S. history. A casual knowledge of brutal military tactics, intransigent Wilsonian idealism and genocidal Spanish conquests would never be enough. I realized that my restless mind wanted to know more about an incredible era in America, a time that saw it fight its bloodiest battles, produce some of its greatest statesmen, and ravage regions only a few hundreds of miles from where I stood. At that time in my life, I walked past a doorway I had never considered before, turned around, walked back to the threshold, and crossed it, entering a new era. “Gettysburg” is an amazing film. Few recent films are as ambitious in scope, as beautifully filmed and scored, with as outstanding acting and stunning battle sequences. So few films are able to bring so many of these elements of greatness together, but “Gettysburg,” certainly at times a ridiculously flawed film, succeeds with an elegant force that never fails to deeply touch me emotionally and intellectually. I’ve seen that film at least one hundred times, and I could watch it another thousand times and still find something new and inspirational. This film came along at the perfect time in my life, just as I was stepping through that doorway. I didn’t understand the obsession with the 1863 Pennsylvania battle, the adoration of Robert E. Lee, the brutal scale of the engagements, the significance of Little Round Top, or why Grant wasn’t involved in the battle. I couldn’t chart an intellectual course through the period, from Fort Sumter to Appomattox. I didn’t understand why people hated Grant so much, why no one ever spoke about Jefferson Davis, or even what happened in Texas during the Civil War. I think I had to forcibly accept the fact that I was absolutely ignorant of the Civil War in general. As embarrassed as I felt about that, I knew that if I was committed to teaching myself the essentials — at least up to a point where I could speak about it intelligently — then ignorance was OK for the moment. I was willing to improve and grow, and that‘s all that mattered. That would be my salvation. I would parachute onto that spot on the Civil War timeline, and, as I had done with the history of the two great world wars, I would work my way backward and work my way forward. “Interesting,” I thought. “I wonder if the library has that book?” So I put the magazine down, headed over to the card catalog (again, this was 1993) and looked up the novel. Sure enough, it was in the library. I tracked it down. It hadn’t been checked out for about ten years. It was a lazy summer afternoon. I had finished my philosophy class that morning, and I didn’t have anything else to do, so I took the book to a quiet corner of the library and opened it up. It was beautiful, moving, and absorbing from the very beginning. Shaara gave us a fascinating introduction to the situation and to the characters, understanding that someone opening this book — like me — may not be entirely familiar with the battle or with the history in general. “So,” Shaara seemed to be saying to me, “Here’s a little primer for you. I’m writing it intelligently, because I know you can follow what’s about to happen. And here’s what I’m going to do with the characters and what I want you to understand about them before you meet them, before you follow them into the worst battle in the history of the Western Hemisphere.” And it worked so well. I was hopelessly entranced. Shaara also had broken the chapters down into perspectives — the days and nights before and during the battle from the vantage points of Lee, Chamberlain, Longstreet, etc. What they felt, what they saw, what they thought — not necessarily what Shaara felt, saw, or thought. Not exactly. “What a great, smart idea,” I thought. I read on and on and on, captivated by Shaara’s prose, his confidence, the details he threw into the story, the nuances that made it all come alive like nothing else I had ever seen before. There are two simple passages that I have never forgotten, either as a writer or as a historian. Even now, as I wrote them into this blog, they brought tears to my eyes, the way Mozart‘s or Beethoven‘s perfection shatters my heart into a million pieces and then gently pieces it together again. The first excerpt is from the prologue. “Late in June, the Army of the Potomac, ever slow to move, turns north at last to begin the great pursuit which will end at Gettysburg. It is a strange new kind of army, a polygot mass of vastly dissimilar men, fighting for union. There are strange accents and strange religions and many who do not speak English at all. Nothing like this army has been seen on the planet. It is a collection of men from many different places who have seen much defeat and many commanders. They are volunteers: last of the great volunteer armies, for the draft is beginning that summer in the North. “They have lost faith in their leaders but not in themselves. The second is from later in the narrative. “Lee started to rise. A short while ago he had fallen from a horse onto his hands, and when he pushed himself up from the table Longstreet saw him wince. “Lee looked past him into the soft blowing dark. The rain had ended. A light wind was moving in the tops of the pines — cool sweet air, gentle and clean. Lee took a deep breath. How many volumes of Civil War history had Shaara condensed into these two passages? I can’t imagine. But it’s thrilling to think about it. As my heart and mind absorbed these words, the silly dreams of being a filmmaker, an astronaut, an admiral, or an engineer all faded away. History — its drama, violence, romance, inspiration, lessons and characters — was all I needed to satisfy my intellectual hunger and my determination to lead a noble, dignified, and strenuous life. Novels and short stories, blogs and essays, academic lectures and casual conversations — they’re all somehow rooted in, or unabashedly celebrating, one of the great loves of my life. — Foote, Shelby. The Civil War: A Narrative. New York: Vintage, 1986. Print. — McPherson, James. The Atlas of the Civil War. New York: Macmillan, 1994. Print. — Shaara, Michael. The Killer Angels. New York: Ballantine Books, 1987. Print.